Sending email communications? Make sure they get the results! Striata Spotlight Insights Sending email communications? Make sure they get the results you're after! Embarking on email communications isn’t an easy task. It requires many specialist skills that don’t necessarily form part of a company’s resources. 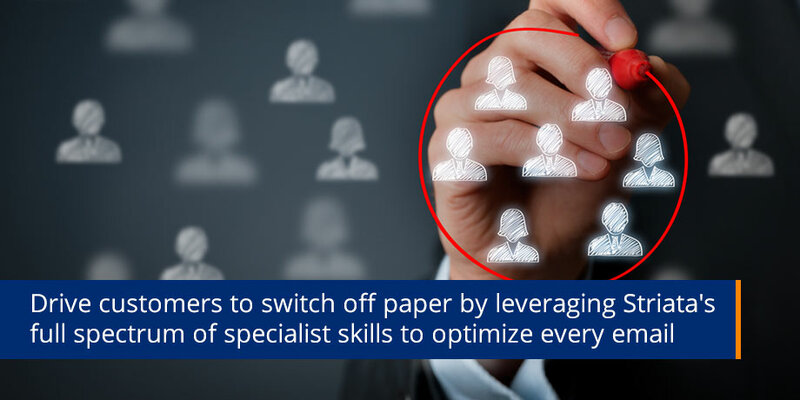 If your goal is to drive customers to switch off paper, then leverage Striata’s full spectrum of specialist skills to optimize every email and you will achieve it. 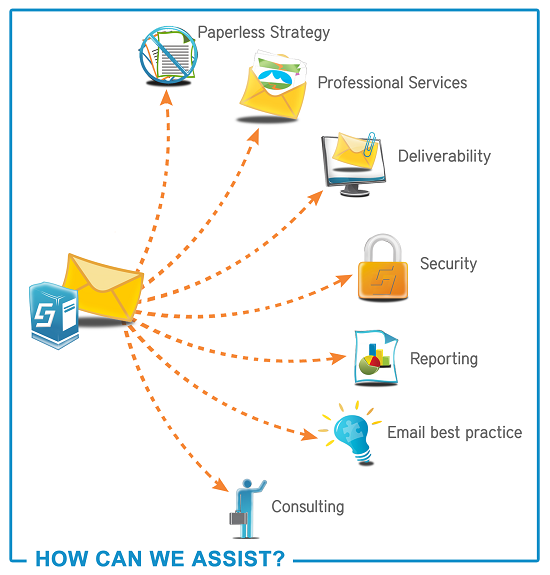 Time to enhance your email communications? Our email specialist will gladly give you a free consultation – contact us or let us call you back.